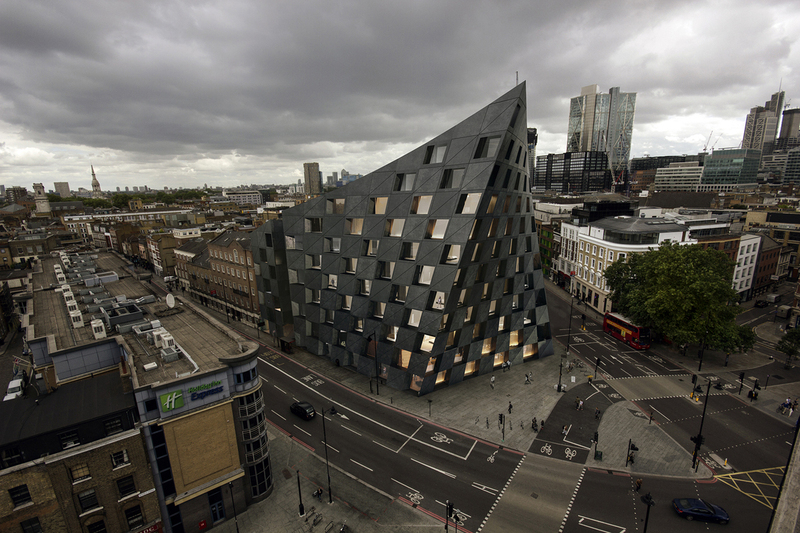 Found at the junction of two famous roads, the Shoreditch Hotel reacts with its unique context in a striking, ship-like form that preserves, and creates, public space for the surrounding area. 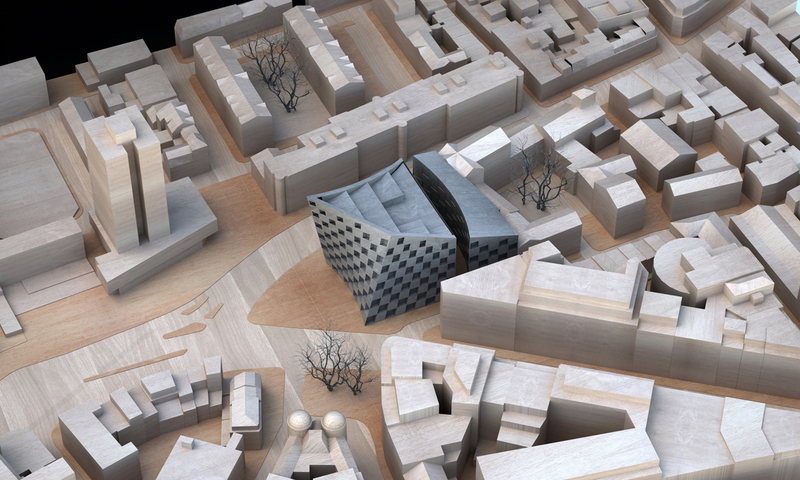 Designed by AQSO Arquitectos, the proposed scheme includes a hotel at its front, while a cinema and various retail outlets are separated by a public atrium at its rear. 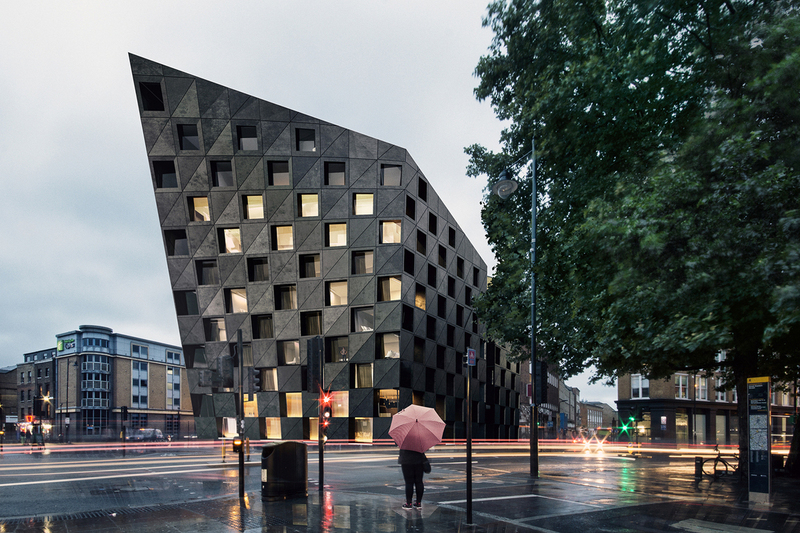 The mixed-use facility “explores a formal response to the site conditions with an alternative contemporary language,” the resultant blending of perspectives creating a gateway to London’s creative heart. 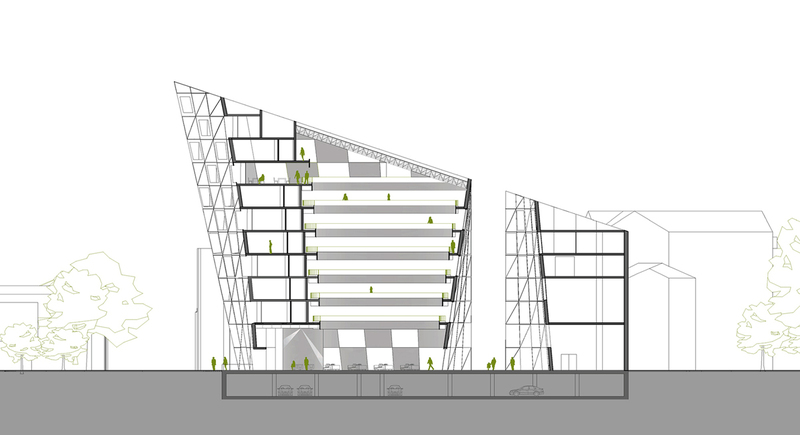 Emphasising the cycling and pedestrian flow, the facade steps back at ground level; a pointed overhang enhancing the angle of the junction to passersby. 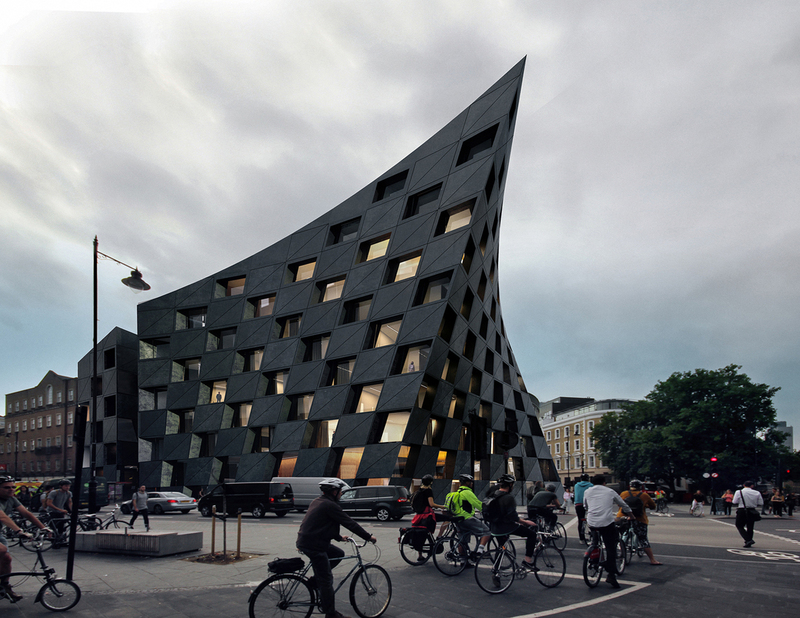 The contortion of the form aspires to create a project that is “iconic, but not monumental,” and as the height gradually decreases along its side, the landmark takes on a much more subtle appearance in the adjacent streets. 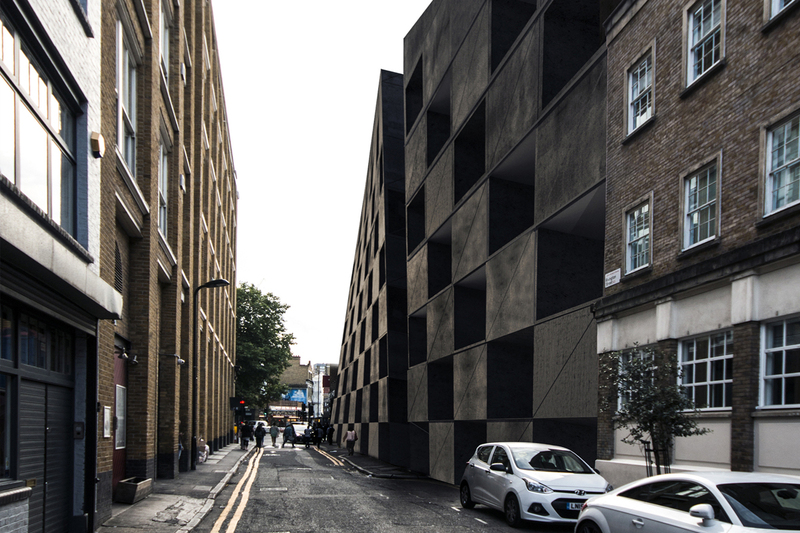 The proposal features regular ‘checkerboard’ external openings, which speak somewhat to the surrounding context, but more importantly generate a rational structural and internal layout. 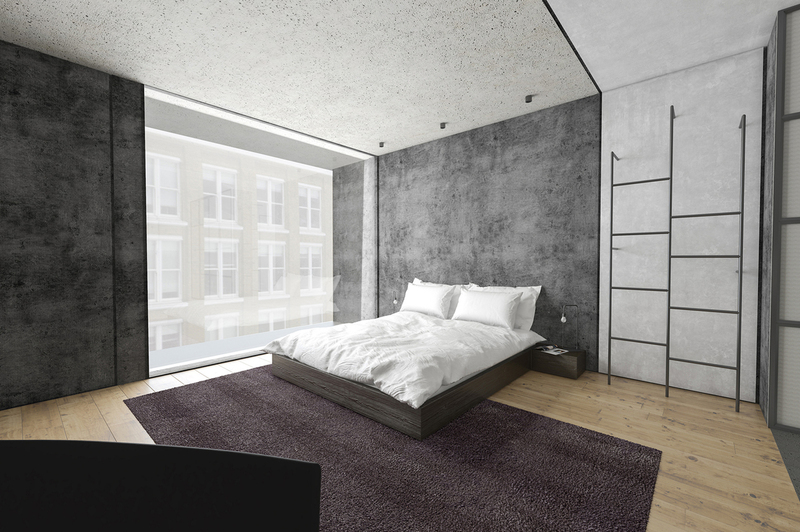 This allows for an economical distribution of rooms throughout the facility and simplifies the complex, twisted facades. 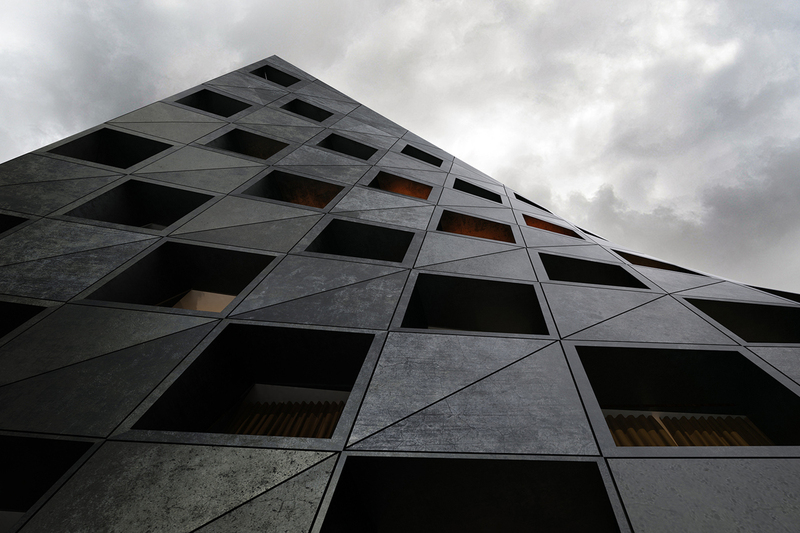 The interior courtyard that splits the building is both “discrete and enigmatic” – its function not only to allow light to flood into the space, but also to enable the project to become an alternative access point and thoroughfare for the city, enriching the unique urban fabric that surrounds it.